As with many countries in Africa, sometimes things can be done on the cheap, but quality has a very real correlation to price. In SE Asia for instance, one can strive to go pretty cheap and have a safe and good time. In Africa one must take safety, sanitary conditions and comfort into account when thinking about a budget. Up until recently, Kenya was a country that focused most of their attention on luxury safari tour packages. Nowadays, there are more and more facilities that accommodate lower budget backpackers. Note that accommodation can be very cheap, in the $1 – $2 range, but the conditions aren't recommendable. 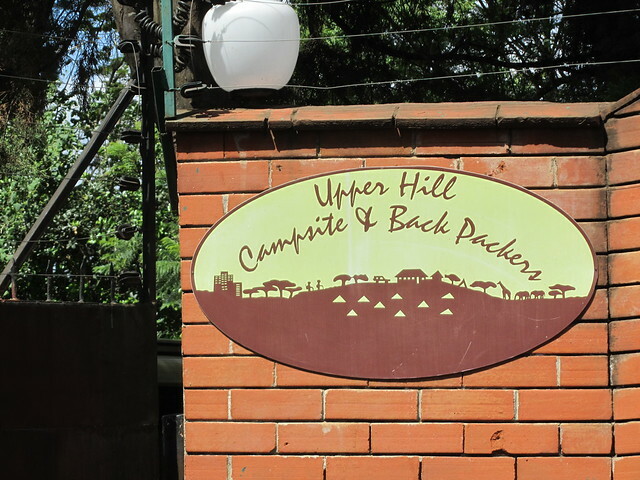 Dorm Beds: In the various hostels, guest houses, and camps that exist in Kenya, expect to pay around $6 – $12 for a dorm bed depending on where you are in the country. Double or Twin private room: Cheapest double rooms run from about $15 – $30. Nice hotel room: If you take another step up, you'll get a very nice hotel room for $50 – $80. If you want to eat Kenyan food the Kenyan way, eating can be very cheap. However, most travelers and foreigners will find that they will want to eat at international restaurants or cleaner sit down restaurants. For a meal on the street that consists of ugali (cornmeal starch), beans, sukuma wiki (vegetables) and maybe a bit of grizzly beef stew, you'll pay around 60 – 80 KES ($0.66 – $0.87). Just starch and veg might cost around half of this. Nyama Choma roasted meat on the street should cost 250 – 350 KES ($2.73 – $3.82) per kilo of goat or beef. A cob of roasted maize makes a good snack for around 20 KES ($0.22). Cities like Nairobi and Mombasa have lots of sit down restaurants that serve top quality international cuisine. 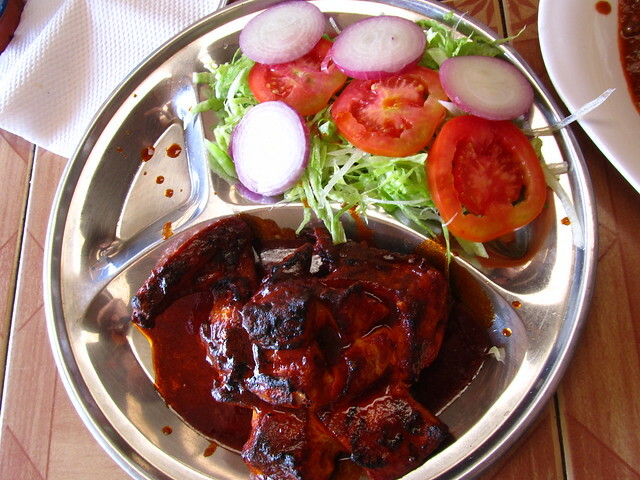 Indian food is one of the most popular and delicious. Meals can cost around 400 – 800 KES ($4.37 – $8.73). An outstanding Ethiopian feast at the Smart Village Nairobi cost me 600 KSH ($6.55) last time I was in Nairobi. For Japanese food, you'll pay around 1000 – 3000 KES ($10.92 – $32.75). You can buy cheap bottles of local liqueur at supermarkets, kiosks or small stores throughout Kenya. It's cheapest to buy alcohol in little plastic bags called sachets. Some clubs do charge cover of a few hundred Shillings per person. If they do, it often will come with a complimentary drink. Taxis: Taxis aren't too cheap in Nairobi and you need to negotiate the rate prior to getting in. You'll probably need to pay 400 – 1000 KES ($4.37 – $10.92) for a ride. 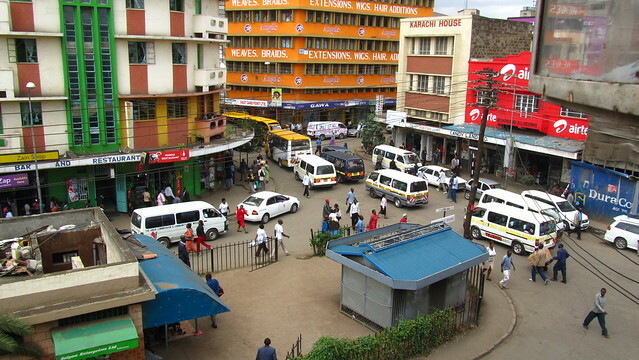 Matatu: The local way to get around Nairobi is by matatu mini-bus. 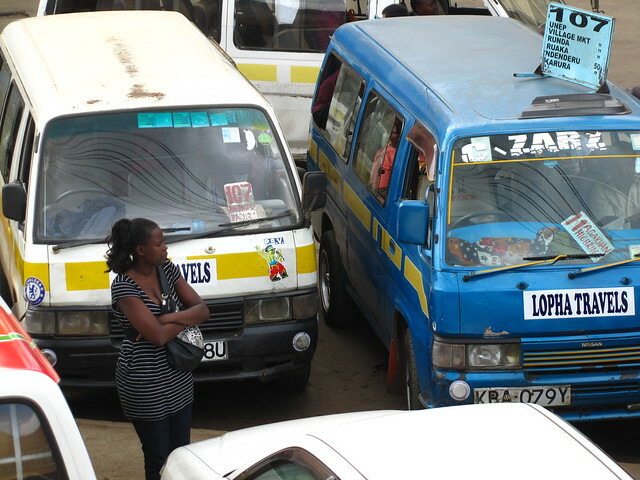 Rides normally cost 30 KES ($0.33) or more depending on route, time of day and local fuel prices. Bus: You can ride buses around the country of Kenya for around 100 KES ($1.09) per hour. Nairobi to Mombasa routes usually cost 700 – 1200 KES ($7.67 – $13.12). 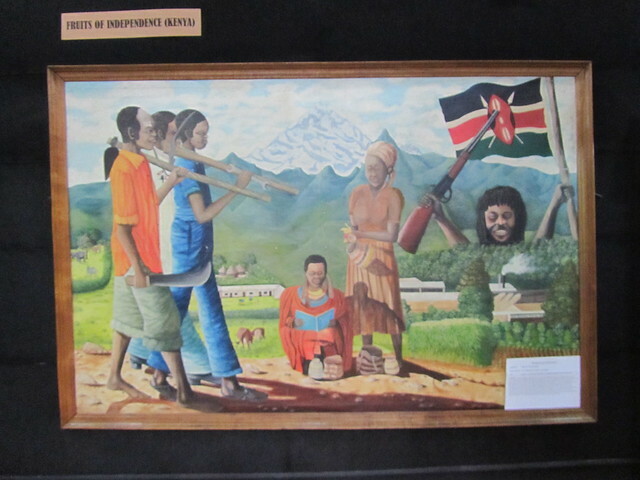 Train: The most traveled train route is from Nairobi to Mombasa which costs $55 – $65 in a sleeper car. Plane: Recently a number of budget airlines have started in Kenya. I took a flight from Nairobi to Mombasa for about $70 on Fly 540. It really depends on what or how many tourist activities you do in a day. If you avoid most attractions, you can get away with $15 per day, but if you do some of the tourist oriented activities you'll likely spend $30 – $40. Add a safari at a national park to the agenda and your budget will go way up from there, possibly in the $80 – $100 per day range.